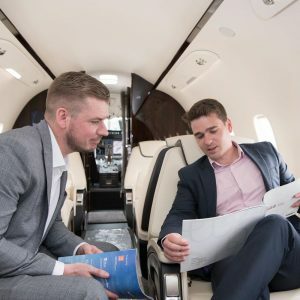 Ultimately, the strength of an aircraft lease is in the paperwork. A comprehensive Lease Agreement must be in place to protect the interest of the Lessor. Just a simple statement not contained in the agreement could result in an unfavorable and expensive situation (loss) and time consuming ordeal for the Lessor. Please-have your lease drafted or at least reviewed by an experienced professional! Miami Jet staff can perform this review for you-often at no charge. Have an exit plan. Consider the residual value at the end of the lease period. 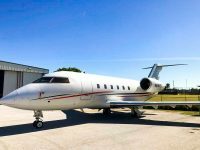 What will the aircraft be worth “as is” and what is the forecasted cost of the maintenance and upgrades needed to resell or re-lease your aircraft at that point. 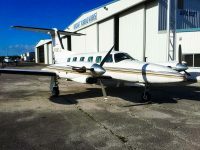 Consult with an attorney that is licensed to practice in the state or country where the aircraft will be based. They can ensure that the lease is compliant with local laws and contain the necessary clauses to allow quick lease enforcement action if needed later. Consider hiring a qualified maintenance facility to perform an initial inspection and a quarterly overall inspection during the lease term. Records can then be updated should they need to be used later. Any resistance by the Lessee to allow access for inspection could alert the Lessor of trouble ahead. This facility can also manage the aircraft later in case of Lessee default. Make copies of the maintenance records. Loss of the original records can devalue the aircraft by as much as 30%-which could add up to millions of $$$. Previous copies would bring most of that value back.